Ah, the Samsung Galaxy S II... We know that this great smartphone has been on top of Mount Everest, we know that it has the power to score more than 4000 points on Quadrant, and now we even have a reason to believe that we know how it will be called when it finally lands in the US. 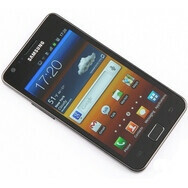 We are sure that many of you will be interested in the Samsung Galaxy S II once it launches nationwide, so here is what you may find it listed as. The hint emerged from the website of the online retailer Wireless Xcessories Group (yes, they sell smartphone accessories). According to the information posted under a listing for a silicon back cover for the Samsung Galaxy S II, Samsung's flagship will be known as the Attain on AT&T, the Function on Verizon, and the Within on Sprint. Those of you who are having a deja vu after reading this, do not be surprised. Its predecessor, the Samsung Galaxy S, arrived in the US bearing four different names for the nation's four biggest carriers. However, note that this time there is no word of T-Mobile anywhere in sight meaning that Big Magenta might not be getting the Galaxy S II after all. Or could the T-Mobile version of the smartphone be getting a facelift that might make the accessory not fit properly? Sure enough, we will probably find out what the case is pretty soon. Until then, feel free to check out our review of the Samsung Galaxy S II and see if this won't become your next favorite smartphone. No!!!! It has to come to tmobile!!! No!!!! I totally agree with you!!!!!!!!!!!!!!!!! nooo!!!!!!!!!!!!!! the phone reportedly has both ATT and Tmo 3g/4g signals in it anyways. I highly doubt its not comming to TMobile. My guess is that the other carriers wanted a highly modified version like last time and Tmo's will be more like OEM last time, but with a similar button layout to the vibrant. you guys are getting the sensation so..
Then why is the htc sensation coming only to T-moblie?? if this is true, i'm gonna hold out on the INFUSE and get the ATTAIN...man to have dual core and 2.3 would be amazin. wooh, cant wait. I guarantee you those names are code names and will not stick. Attain function and within are the most boring names I've ever heard- you really think samsung would do that? Check the US Patent and Trade Office. Trademark was filed on 3/17 for the Samsung Function and Samsung Galaxy Function. Those are terrible names, you these idiots actually have marketing degrees? ATTain on AT&T, ha ha, I'm sure they thought they hit a home-run in that lame marketing proposal. Sometimes MBAs are worthless. Wow, just looked up the review and this phone sounds awesome!! I would definitely consider this. Does anybody have a rough estimate to the release date? I'm looking at both the Droid 3 and this, and I'll probably end up getting whatever releases first. The question is now for us on Sprint....will Sprint make the "Within" a keyboard model or stay with the current model. S2 blows droid3 out of the water tbqh. Faster processor and lye and better screen. Just no keyboard. If u need a keyboard, Droid 3 is ur choice. Disappointing, yes. But as long as I don't have to subscribe to VZ Navigator for turn by turn directions I could probably live with it for such a badass device. T-mobile is probably not getting one, because it might become part of ATT, so they will both probabaly share the Attain. I have a feeling this merger is going to go through, (ATT put 6 billion dollars on the line, they wouldnt do that unless they know it was going to go through :(, and now T-mobile is not getting this phone. All versions of the Galaxy S II currently out in Europe are GSM phones, right? How much work in is involved in making a CDMA version for Verizon/Sprint in the US? Also you won't be able to talk and use data at the same time on Verizon/Sprint right? Only AT&T? Samsung did a very selfish stupid mistake. I hope the merge fails, and samsung has to make a better exclusive SGS2 for T-Mo. I fail to see how this is even valid. T-Mo operates on technologies in the core device. All they have to do is re-brand the shell and shelf it. why not?? it would be foolish for verizon to have the only one of the three that is not 4g. since sprint and at&t will have it. i am hoping that it is 4g/lte for verizon or they will be shooting themselves in the foot on this one. and not having it will sway me from getting one,lte..first day buy! I've never had a Samsung phone; they don't come with locked bootloaders like Moto's do they? I'm interested in the "Function" whenever it drops on VZW but I refuse to use that childish looking Touch Wiz UI.